At Vilonia Funeral Home, we are proud to offer personalized memorial items to make the Celebration of Life a meaningful memorial service. These personalized items are designed by selecting from our database of personalized themes. These personalized memorials are designed to tell the story of your loved one. Our licensed funeral directors are able to assist you in designing personalized memorials in time for the memorial or funeral ceremony. Below are a few of the memorial items we offer. During the funeral planning meeting, our funeral planners will help you create a meaningful video tribute that will be played on our website for out of town friends and families that can not attend the services. They can also order a copy of the video directly through our site. The video will also be available to play during the visitation, before, during, and/or after the funeral service. You can choose from dozens of licensed themes, songs, and images to make the memorial ceremony for your loved one a meaningful celebration. 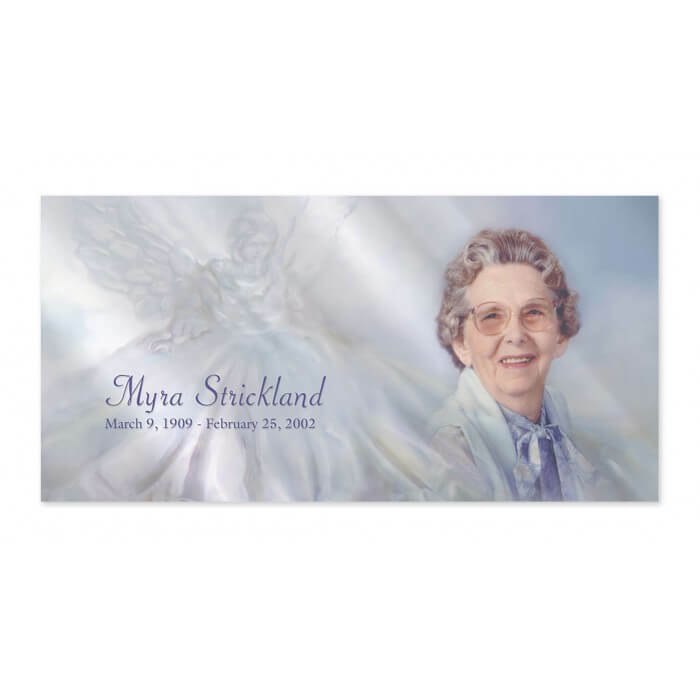 Everyone that attends the funeral ceremony, or Celebration of Life will leave with a personalized memorial folder that they can cherish forever. The personalized folder can be filled with photos, verses, poems, and can be tailored to match the life of the person that has passed away. While planning the funeral, the staff at Vilonia Funeral Home can show you how your service can be personal and unique. 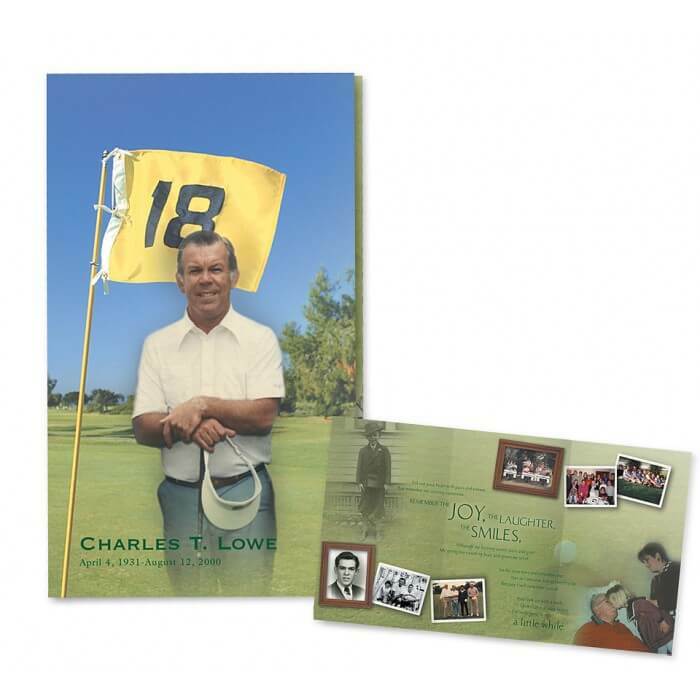 The personalized casket panel can add that extra touch of class to the service. The personalized casket panel can match the same theme used to design the personalized tributes, or it can be different. The personalized panel can remain with the casket for burial or entombment, or it can be removed after the service and be framed as an heirloom portrait. Whatever your desire, our professional funeral planners can assist you. The register book is used during the funeral or memorial service where guests can sign. This is very healing for years to come when a family looks back to reflect on the memories. You can design your own register book at Vilonia Funeral Home. 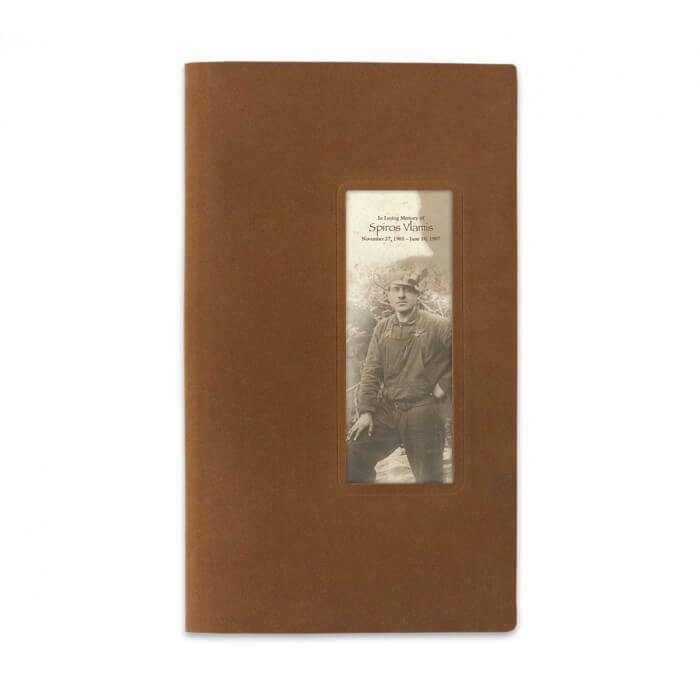 The register book, also knows as a guest book, can be filled with photos, memories, the obituary, and poetry. We are confident that this book will remain cherished for many generations to come. You can also personalize and theme a crystal portrait. These portraits can be placed on the Urn Ark during the service, the memory table, or on an easel next to the casket during the ceremonies. 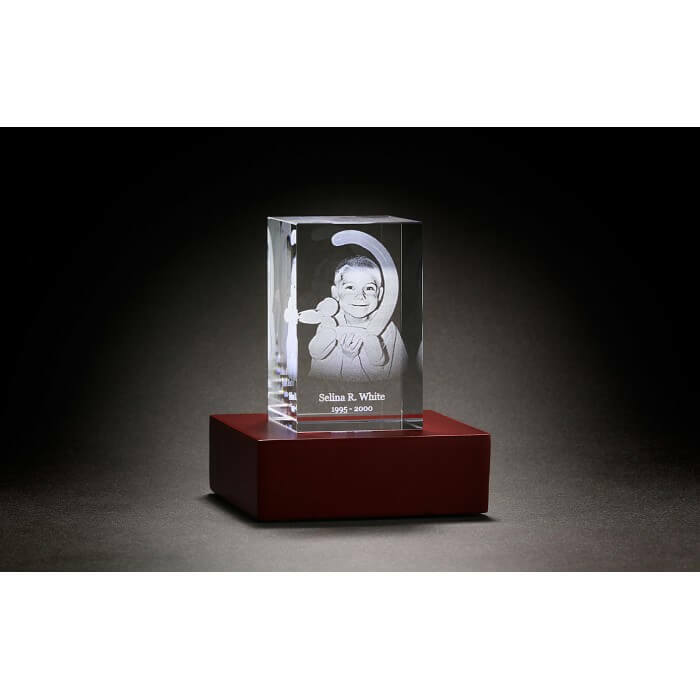 We are happy to offer 3-D custom crystal towers to display at the service, or in a special place where you can forever remember your loved one. The tower can display a 3-D portrait, poem. obituary, verse, or anything else that you design with our funeral planners.